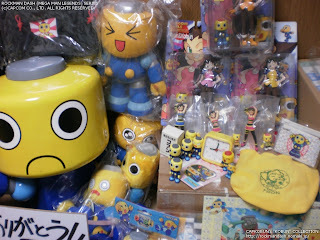 Die hard Rockman fan CapKobun recently showed off his impressive collection of Servbot memorabilia for all to see. It's practically an army! And look at that: it's our one-armed friend smack dab in the middle! It seems he's finally found a good home. 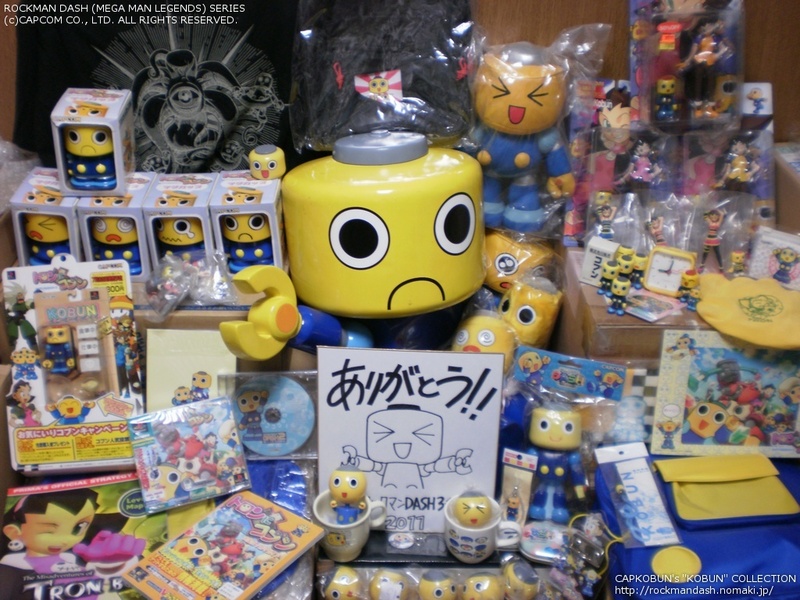 Keen-eyed collectors will no doubt spot a few rarities like those promo plushies and cookie jars. There's even a few things in there I don't recognize at all! How does your Servbot collection compare? Probably the best Servbot collection I've seen. Although I seem to have something he hasn't obtained yet. The set of squeezable stress-ball like Servbots that were shipped as promos for those that pre-ordered Legends 2. Also came with a small Misadventures of Tron Bonne poster...that has vanished. :( Haven't seen another one yet. The Servbots can be hard to come by too it seems. Nightram here for the Video Game Memorabilia Museum. I love it! I'd like to see some individual shots. Does this collector have those little glass keychains? I have some of those, along with some data monkey ones. I'll go ahead and ask him. Somehow... I'm not impressed. I mean its a good collection, but I don't see many servbots for a reason, more like things that have to do with them. I've seen some collections that have many servbots that you can actually call them a servbot army. He doesn't have those from the Yujin line? Looks like the one-armed friend got cleaned up a tiny bit since the last time we saw a photo of him. Looks like he ended up in very good hands.